We work with the insurance companies directly, and make sure the homeowners are paid according to their premium so they’re not underpaid on their claim. 90% of the time, insurance companies will underpay a claim. So, we make sure the homeowner gets the money they deserve from their claim. We know the adjusters and that benefits the client. We’re being the liaison for our client up on the roof. Homeowners aren’t getting on the roof with these adjusters; we do. We make sure that the adjuster is seeing the same damage that we’re seeing, so that the homeowner gets what they deserve. We have a professional contractor come out, give a professional inspection on that roof and the property. The contractor will and see what kind of damage is there before the Insurance companies sends an adjuster out. The homeowner will call their insurance company and make a claim. We will make sure they have all the information needed: storm dates, date of loss, things like that, to make that claim. Once they make that claim, the insurance company will send out an adjuster and we meet with them. We get on the roof with them and show them the damage. Once everything gets approved, the insurance company will send the estimate to the homeowner. We, then, figure out exactly what the homeowner wants to put on their home, so that we can get it on the schedule. Then, we get to work on the roof! How long does that process normally take? That depends on the insurance company, but generally with us, it’s within a week and we have the insurance company out. The homeowner usually has the check within a week to two weeks of making the claim. From there, we’re usually one to two weeks out to get the roof completed. It takes a day plus a few hours to complete a roof. We always tell the homeowners a good rule of thumb is a month for getting the whole process completed. Once we complete the roof, if we do it in three weeks, we’ve got a week, week and a half, to get the final check back from the insurance company to get everything settled. What is an ACV policy? Actual Cash Value policy. 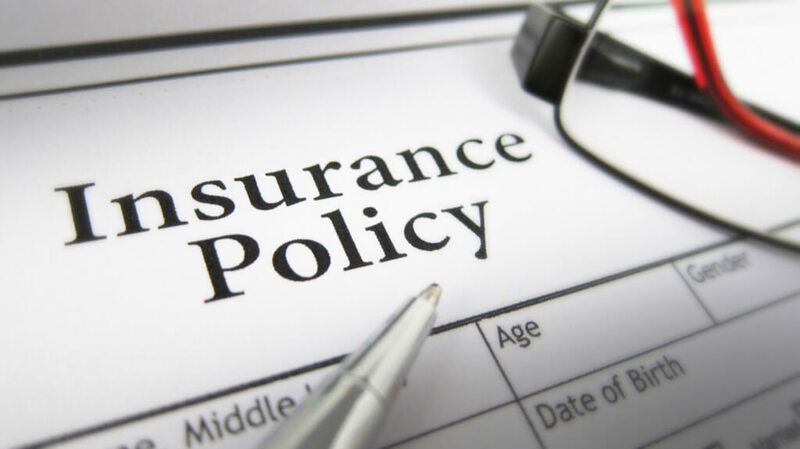 Generally, the most common type of policy is going to be an RCV or a full replacement policy. When the insurance pays for a roof, they’re going to pay for what it’s worth that day. They’re not going to pay you for the full replacement of that. They’re going to make sure you do the work before they pay for the full replacement. Unlike a car where they’re going to depreciate: they can do the same thing on a roof, but the difference is on a full replacement once you do the work, you’re owed that money. They’ll usually pay out two checks. An ACV policy is where, just like a car, when it depreciates the amount of usage you’ve got out of that roof, they’re not going to pay that on the back end. They’re basically going to pay you what it’s worth the day they buy it, take out your deductible on top of that. Now the homeowner is responsible for the rest. How do you help educate the Homeowner? Sometimes homeowners don’t know they have an ACV policy and the insurance company changes this on them and then they go to make a claim, they think they’ve got $1000 deductible. All the sudden they’ve got $1000 deductible plus $2000 in depreciation. Now they’re looking at $3000 out of pocket. That’s one of those things that we try to educate the homeowners on the front end before they make a claim, get the assessment and check in the mail. Now they’re like, “Well we don’t have $3000.” They’re not expecting to replace the roof. That’s one of the biggest things is, not only educating on the process, but educating on what policy they have before they make the claim so they know what to expect throughout the whole claim.